to help turn your business site into a top-hit. 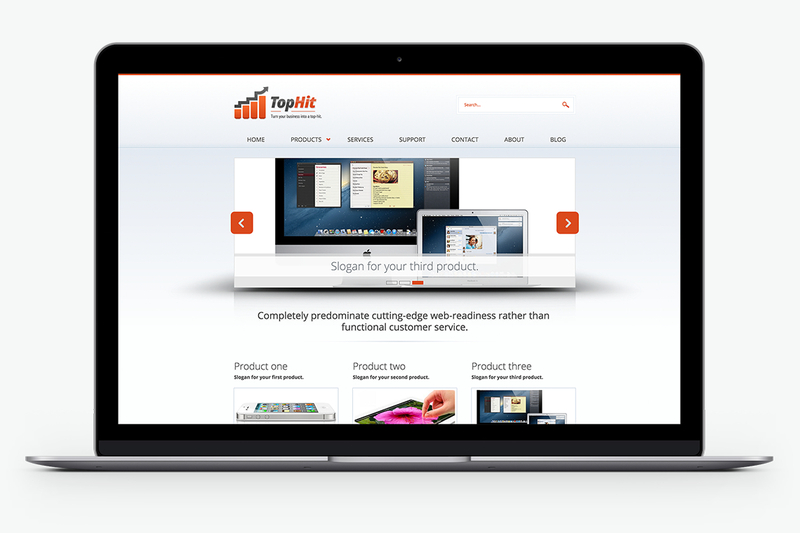 TopHit adjusts optimally to the width of the browser it is viewed on. As a result, it looks awesome regardless it’s a desktop computer, smartphone or tablet your visitors are using. 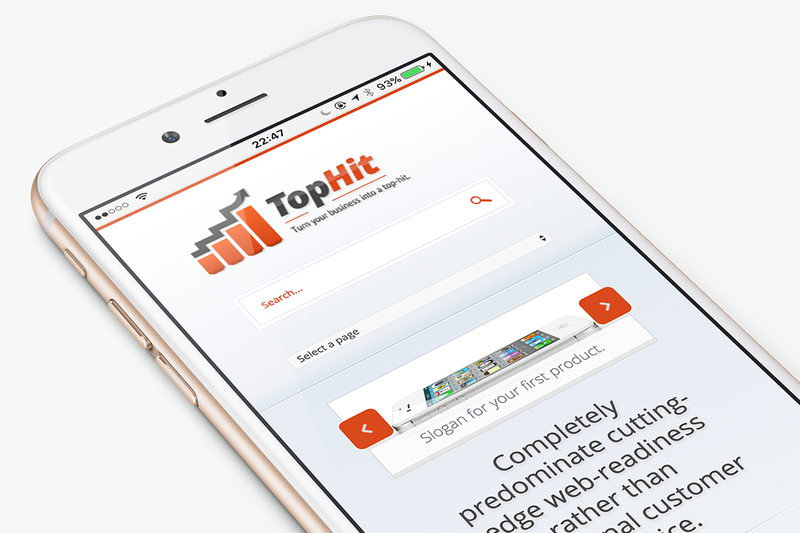 TopHit comes with a plugin which transforms the Main menu of your site to a dropdown select list when your browser is at mobile widths. You can configure the behavior of this plugin through the theme-settings. Create “slide show entries” or set your content* to be promoted and Voila! Drive your slide show easily with TopHit's built-in intelligence. Create “slide show entries” or set your content* to be promoted and Voila! Add text, images or even full HTML. *Slideshow Entry, Product, Service & Blog entry. Top Hit Pro & Top Hit Enterprise come bundled with Drupal Commerce providing you a turnkey e-commerce solution right after installation. Five awesome color schemes to choose from: Orange, Blue, Pink, Gray and Green. Just pick the one that fits your brand with a single click through the theme-settings. Leave it on the front page or set it to be displayed everywhere in your site. Slideshow configuration is available on theme settings. TopHit integrates with the Superfish module supporting gorgeous multi-level drop-down menus with smooth motion. Relocating of sub-menus when they would otherwise appear outside the browser window area. Comes with a wealth of custom regions: Header top, Header, Header right, Navigation, Banner, Promoted area, Custom front area, Footer first, Footer second and Footer third. Yet it’s end-to-end compliant to the default Drupal regions. Leave the Sidebar First region without any blocks and the Content region will occupy all the available width. And it will still look good, it’s been designed for this. Showcase words of love from your users and customers in the most amazing way, with the custom-made "Testimonial" content type and its unique design and automations. Enjoy Views collecting testimonial nodes on both a block and a page. Beautiful and sophisticated yet lightweight.